Danish consultants who worked on plans for the River Dodder Greenway in Dublin say that people cycling and walking along the river should be kept apart, and the route should become a “bicycle superhighway”. The suggestion of keeping people cycling and walking segregated could be a popular one with those on two-wheels as well as walkers, joggers and dog walkers who use current paths along the Dodder. It follows the news that the Tallaght to Dublin Docklands greenway is step closer to reality as the councils involved are seeking a project management team. Copenhagenize Design Company (formally Copenhagenize Consulting) is based in Copenhagen and works on cycling projects across the world. The head of the company, Mikael Colville-Andersen, said that they were “not thrilled” with the results of a feasibility study for the mostly urban greenway. Along with project leaders, Roughan & O’Donovan and AECOM, and Cunnane Stratton Reynolds, the Copenhagenize Design Company worked on the feasibility study report on the route. The aim of which is “developing a high quality walking and cycling route along the River Dodder”. He said his company had suggetsed an international competition “for young architects to design all the bridges”. The study was funded by the National Transport Authority, while the route crosses the boundries of three council areas — Dublin City Council, Dn Laoghaire–Rathdown County Council and South Dublin County Council. Like the Netherlands, in urban areas in Copenhagen people cycling and walking are kept apart as standard — the mixing of cycling and walking is rare. The report for the Dodder seem to mainly recommend a 4 meter wide which will be shared use between walking and cycling — even where there are no apparent structural or environmental pinch points. According to the 2011 Census, the areas around the route inside the M50 have a relatively high cycling modal share. The ‘electoral divisions’ Census areas generally have a cycling modal share of between 9-15% — with pockets of smaller area reaching as high as 19%. These figures have likely increased in line with traffic counts in the last few years. Any person in Dublin and Ireland who Cycles daily could have told them that shared use paths do not work,we do not need Consultants to tell us that. The Councils are fiddling around again trying to get away with shoddy infrastructure instead of doing things right. These so called Irish designers and Road Builders need to get out on Bikes before they decide to do anything. Does anyone have a link to a copy of the feasibility study? 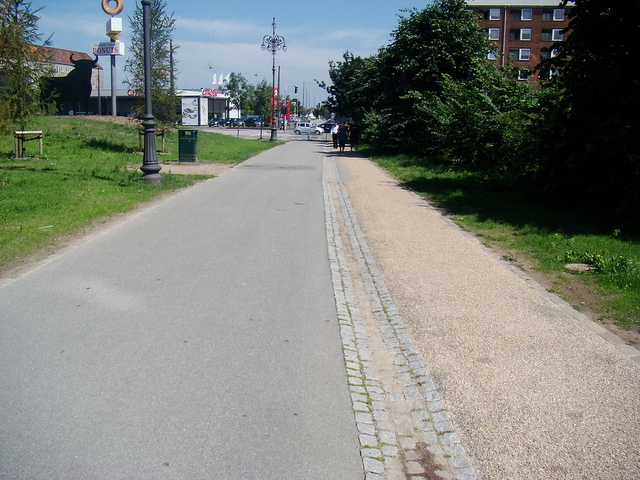 On what basis does the report justify the suggestion of a shared use path? It doesn’t seem acceptable for something which has potential to be a very busy commuter route. Will there be an opportunity for consultation on it? I wonder how ROD feels about MCA distancing himself from the report? But it seems you must be registered. Maybe Registration is just a formality? I cycle the existing Dodder River bridleway between Donnybrook and Ballsbridge and it is not suitable for shared-space as it stands. There are no pavement markings or signage to indicate shared-use in any event so pedestrians wander all over it with dogs on long retractable leads too, which are a safety menace. When I walk the path cyclists come up behind me without ringing a bell to warn me. Come to think about the majority don’t have a bell, which is illegal! I met Mikael during his study visit and he is absolutely right about his advice being ignored. What’s new in Irish road/traffic implementation! But one needs to look behind what constraints (funding, windscreen-view of traffic, etc) that may be imposed on designers and advisers by City/county managers and paymasters. The key question is: Who is dictating that we get rubbish every time? @Bob S., thanks but I went through the whole registration process and then it still said ‘documents available after expressions of interest’, so I think one has to be a legitimate company to access them via that site. We’ll be republishing the report soon — hopefully tonight or in the morning. Not going to work or even be fit for purpose if it’s shared use.a total waste of money and time. What the point of paying for advice from NL or DK and ignoring it ? The councils are not taking cycling seriously as a mode f transport. If this happens, the flawed trend will only continue. People don’t want this, even if they don’t know it right now. Even North America is doing better than this in many instances. They people who have the expertise and the end users are bring bypassed. Who’s pulling the strings here ? Lobbies ?